Making a difference with the kids! 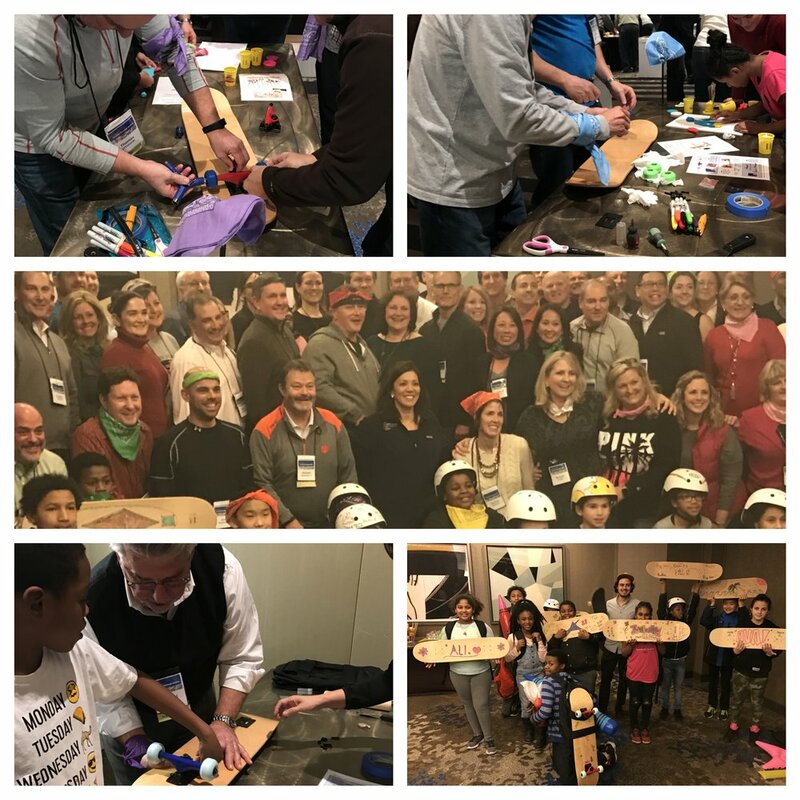 This 2 hour event will unite your team with local, underprivileged kids and give you a chance to be mentors while helping the kids to build their own skateboard! The team and kids will get to decorate their boards and helmets as well as receive a backpack and pads! What a unique way to make a difference!